The Benue State Police Command has said that political parties or candidates must obtain clearance, not later than 48 hours, before holding any rally in the state. The command also warned against thuggery, hooliganism and destruction of billboards during and after the 2019 general elections. 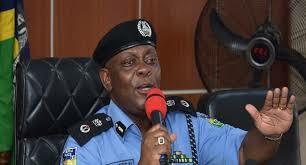 In a statement issued by the command’s spokesperson, Moses Yamu, the state Commissioner of Police, Mr. Ene Okon, declared his readiness to collaborate with other security agencies to ensure a hitch-free election and provide adequate security for the elections. The CP, however, appealed to the general public not to take laws into their hands during campaigns, urging them to report any suspicious person or action to the nearest police station.